Her foray into the world of chess started as a hobby. 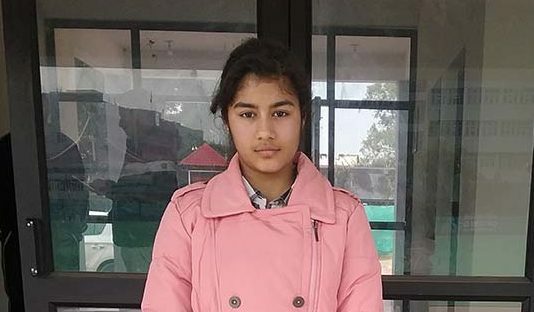 Ranked No 1 in J&K this Jammu girl dreams of winning a world title, Aakash Hassan tells her story. Atul Gupta, a known chess player and former coach who trained national and international teams of India, was searching for a talented youngest whom he could train. As the search intensified Atul was surprised when his eight-year-old daughter Meena Gupta, showed promising talent in chess. “Without any delay, I began guiding her to hone her skills in chess,” recalls Atul. However, Meenal, who has taken to playing chess to kill her free time, was reluctant make a career out of it. “But I was determined to shape her raw talent so that she can play professionally,” said Atul. While kids of her age would go outside and play cricket, volleyball and other games, Meena would stay indoors with her father and practice her chess skills. While training, Atul would ensure that in the end, her daughter wins the game. “I would lose deliberately to help raise her morale till she is fully trained,” said Atul. Atul’s dream was to see his daughter win the world championship, which he couldn’t. “Within one year Meenal entered the Grand Master directly at the national level,” said Atul. Within a few years, Meenal got selected to play at all India level competition held in Delhi. “She did exceptionally well,” said Atul. Meenal was the only kid playing with grownups, which made her even more confident. In next few years Meenal’s performance went down as she lost consecutive games at different tournaments. “However I kept on encouraging her to keep playing,” said Atul. However, motivating a young girl like Meenal for a long time without positive results was not an easy task, as chess demands lots of patience. “Once again I started to lure her with gifts and other rewards,” said Atul. Atul’s inspiration speeches and time-to-time gifts started showing results as Meenal once again took pains in chess. Meenal now spent more than seven hours a day practicing chess on her computer with sharpest minds around the world. “At the same time I had to study, which meant no time for any outdoor activity,” said Meenal. Then in January 2016, Meenal’s hard-work paid off as she won the title of best woman player in Delhi International Chess Event. Since last two years Meenal is ranked as state’s best chess player. “My dream is to become a world champion. It is my father’s unfulfilled dream,” said Meenal. In August 2016, Meenal won an individual gold medal in U-14 girls’ category in Commonwealth Chess Championship held at Waskaduwa in Sri Lanka.